We are a family business with a two-tier board system. We operate various subsidiaries in Europe under the parent company of CCV Group B.V. This page explains the interrelationship between the subsidiaries and our legal structure. Our parent company CCV Group B.V. has two permits based on the Dutch Financial Supervision Act: one permit for payment institutions and one as of right as a clearing and settlement company. 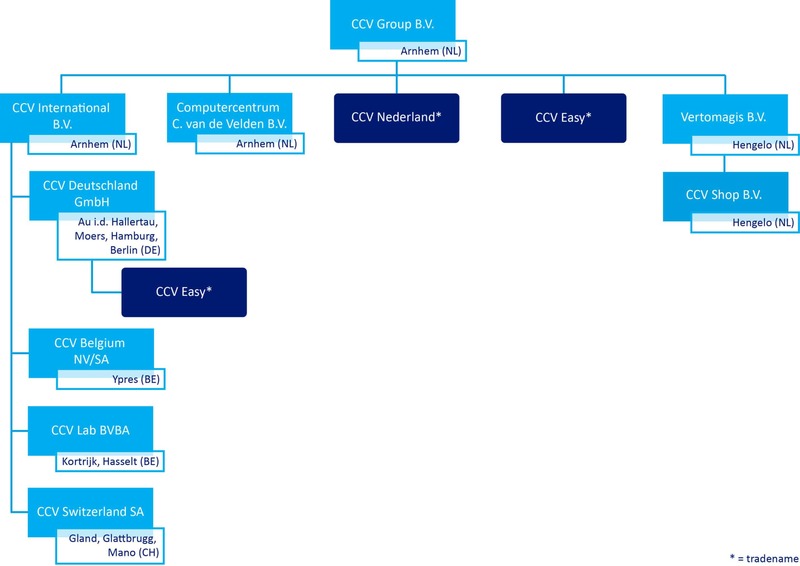 In addition, CCV is registered within the meaning of the Dutch Telecommunications Act as a provider of electronic communication services and a provider of a public electronic communication network. the Netherlands Authority for Consumers & Markets (ACM: Autoriteit Consument & Markt).